Clean and neat office, nice receptionst to work with and of course received the professional and careful treatment fromDr. Hu. Clean and neat office, nice receptionst to work with and of course received the professional and careful treatment from Dr. Hu. 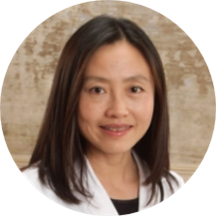 Dr. Hu welcome you to C & H Dental, the dental home for charming and healthy smiles! Dr. Hu has been practicing dentistry for many years. She graduated from University of California at San Francisco, School of Dentistry with OKU scholarship (from National Dental Honor Society). She also has obtained DMD and master degree from West China College of Stomatology, one of the top dental schools in China. Dr. Hu is passionate and gentle. She has extensive experience to treat all age groups, from 6 month-old infants to 104 year old senior citizens. For the last few years, Dr. Hu has continuously been selected as America’s Top Dentist by Consumers’ Research Council of America. At C & H Dental, we are committed to clinical excellence and excellent communication /relations with our patients and colleagues. Please join us to create your healthy smiles!